The 2018-19 is well underway with increased participation and a high level of play across the province. With thanks to Official Rankings Sponsor Black Knight, Squash Ontario would like to take this opportunity to recognize the best performances in September/October to star the season. 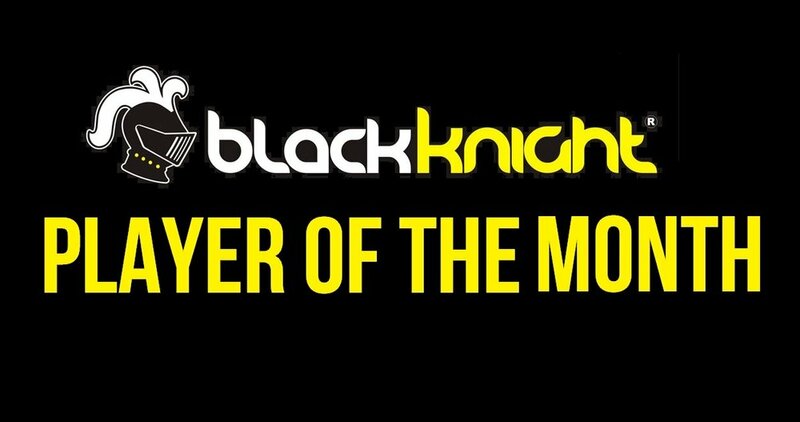 Congratulations to Nicole Garon (Brantford Movati), Walter Bentley (ORC), Amal Izhar (ORC) and Josh Kay (Badminton and Racquet Club) for being the 2018-19’s first recipients of the Black Knight Player of the Month award. Nicole Garon capped of a sensational 11-0 run in September/October by capturing both the Women’s 30+ and 40+ categories at the 2018 Performance Finishing Solutions Ontario Masters Championships and will play #1 for Team O at the 2019 Canadian Masters Team Championships. In addition, Garon captured the Women’s A event at the Control the T Open at Northfield Racquet Club and went undefeated in the Ontario Women’s Masters Team Championships in Kingston. Garon gets the nod over finalist Catherine Giachino of Ottawa who won the women’s A draw at the Nash Cup and led the upstart Western Mustangs in the #1 position going undefeated as a rookie in the Jesters University League Sectional #1. Honorable mentions go to Stephanie Bazin who captured her first ever provincial title (W45+), W50+ champion Julie Hisey and W60+ champion Kathy Cowper. On the men’s side, Walter Bentley shocked the Ontario Masters community by capturing the largest Men’s 55+ draw in recent history as the #3 seed, capturing his first provincial championship. Bentley defeated the #2 seed Brad Munro in the semi final and multi time champion Tom Powers to claim the gold medal. Bentley edges out Squash Ontario legend Howard Armitage of Kitchener-Waterloo who backed up his March World Championship by winning both the Men’s 70+ and 75+ Ontario titles against a tremendous field. Honorable mentions go to Jesters University League rookies Josh Hollings (U of T) and Liam Marrison (UWO) who went undefeated in the first sectional of the season at the #1 position and Ontario Masters Provincial Champions Wayne Weatherhead (M65+), Guy Gordon (60+), David Sly (50+), Bruce Marrison (45+), Don Lee (M40+) and Jamie Nicholls (M30+). The junior girls group is Squash Ontario’s fastest growing demographic with deep and talented draws being played each weekend in the Gold, Silver and Grand Prix levels. Our best and brightest of this rising force in September/October was Amal Izhar of the Ontario Racquet Club who started 2018-19 with a bang. Izhar, who is only 13, won the Roundtable Capital Gold #1’s U15 division as the #2 seed and then went on to win the Ciena Healthcare Gold #2 in the U17 division three weeks later as an unseeded player. Amal’s hard training over the summer clearly has paid off and she headlines several young females that have shot up the ranks to start the 2018-19 season including Khadija Hamada, Charlotte Ghaeli and Rachel Dirks. On the junior boys side Josh Kay of the Badminton and Racquet Club in Toronto is our top performer of the period as he pulls off the rare double gold by taking home Roundtable Capital Gold #1 as the ¾ seed and then followed it up with the Ciena Healthcare Gold #2 title in Windsor a few weeks later in the U15 division as the #2 seed. Kay outshone a very deep U15 field that continues to push each other to a high level of play and features several international level talents. Josh edges out another double gold winner Kent Rawlins of Richmond Hill who is the torch bearer for an equally impressive U11 group that promises a very bright future for Squash Ontario. Black Knight and Squash Ontario congratulates all of the thousands of athletes that competed in events during September and October of 2018 and continue to represent our sport each week. Please help us in recognizing Nicole Garon, Walter Bentley, Amal Izhar and Josh Kay as our top performers this period and stay tuned for the next installment of the BK Player of the Month.